Finally, the wait is over as Sugar cosmetics recently launched two BORN TO WING GEL EYELINERS. 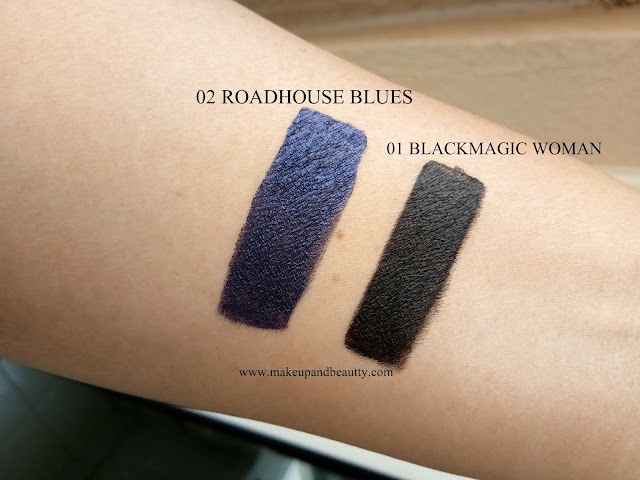 The two shades are 01BLACKMAGIC WOMAN and 02 ROADHOUSE BLUES. Price:- Rs.599/- each for 2.3g of product. Make way, ladies - the saviour for all your winged eye woes, is here! With its silky smooth formula and a rich matte finish, the Born To Wing Gel Eyeliner, is the queen of ultra-luxe. 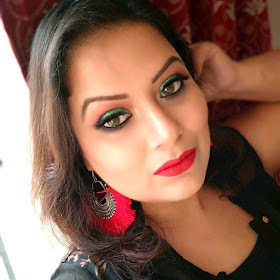 Achieve absolute symmetry in everything from the chic-yet-casual look to the sultry cat-eye with this beauty and that’s not all. Smudge-proof and water-resistant, your eyes will now sport the boldest of tug-free flicks for 12 straight hours. Grab one today for those effortless ‘Oh! So dramatic’ looks that will stay with you through thick and thin. Dip the built-in brush into the gel eyeliner pot. Dab it gently on the edge to remove excess. Trace a line from the inner corner, extend it towards the outer corner of the eye and rock that super-rad wing! 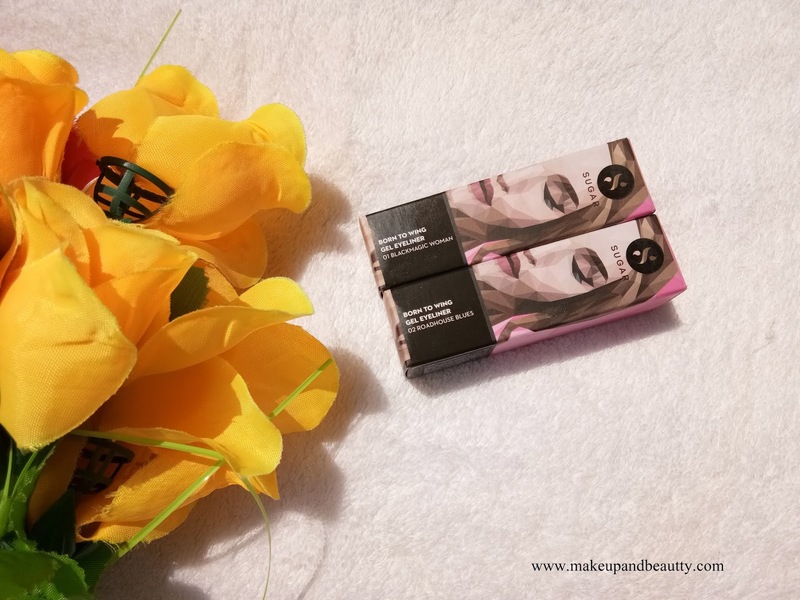 With rich, creamy pigment and a bulletproof wear SUGAR Born To Wing Gel Eyeliner glides across skin smoothly to create superb, smudge-proof strokes with saturated colour. Its excellent waterproof formula has legit staying powers. The richly pigmented Born To Wing Gel Eyeliner is dermatologically and ophthalmologically tested and approved. 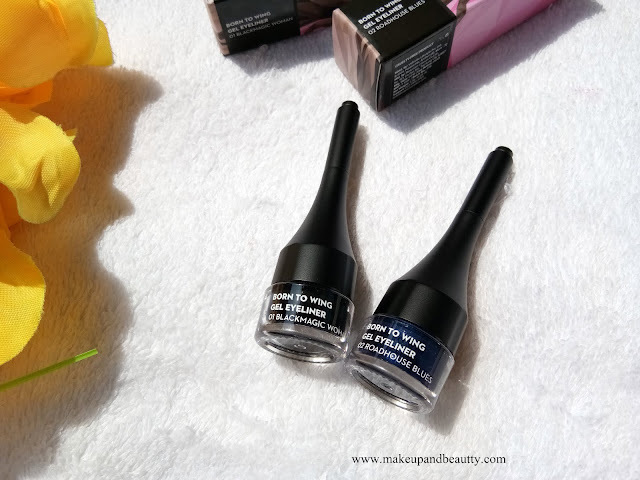 It is available in 2 fabulous shades, Blackmagic Woman and Roadhouse Blues. Cyclopentasiloxane, Trimethylsiloxysilicate, Paraffin, Isododecane, Ethylhexyl Palmitate, Mica, Sorbitan Stearate, Microcrystalline Wax, Silica Dimethyl Silylate, Phenoxyethanol, Tin Oxide. May Contain: C.I Nos. 77499, 77266, 77891, 42090, 15850. The Gel eyeliners come in a cute tapered kind of packaging. The cap of the gel eyeliners are tapered in shape and there is a brush in the cap which one can take out as a pen cap. 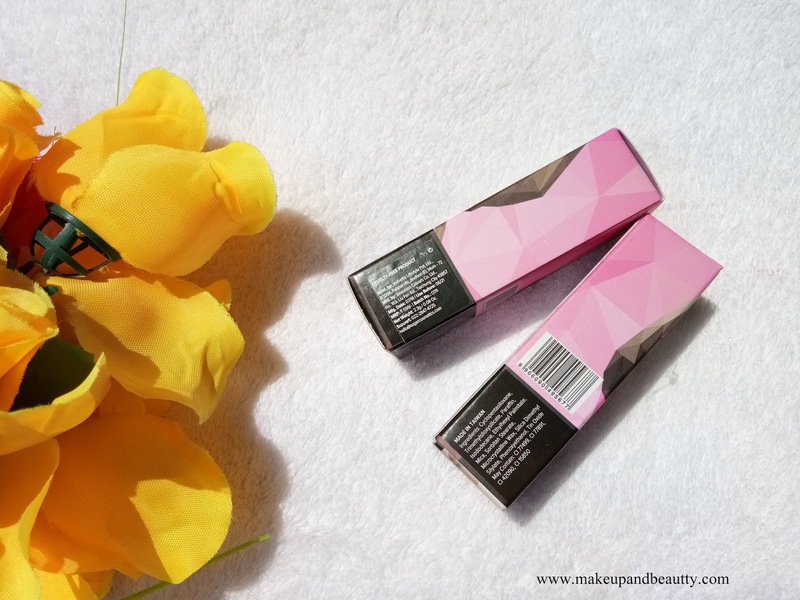 The brush is small, sleek and a V-shaped one which is perfect to apply the liners. I really like how the gel eyeliners come up with an individual brush in it. It is a hassle and fuss-free packaging. Both the gel liners are very soft in texture. They glide smoothly on my dry eyelids. They are super pigmented. 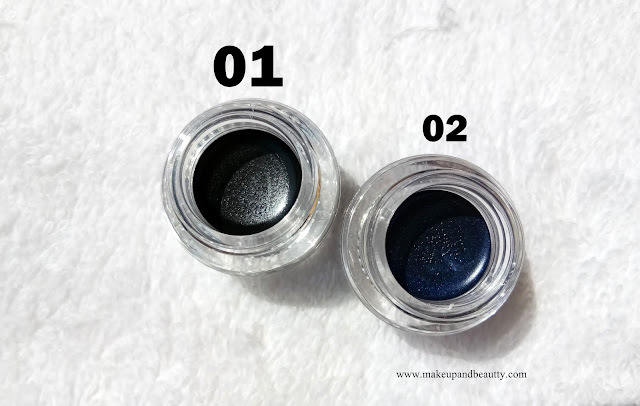 The black one is matte one and it is a jet black gel eyeliner. 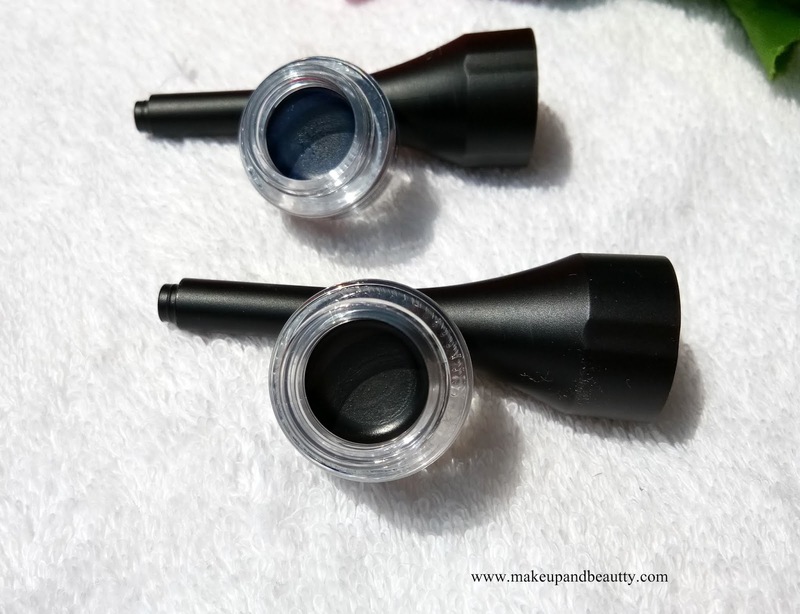 The blue one has subtle shimmer in it which turns out glossy matte gel eyeliner once it dried. 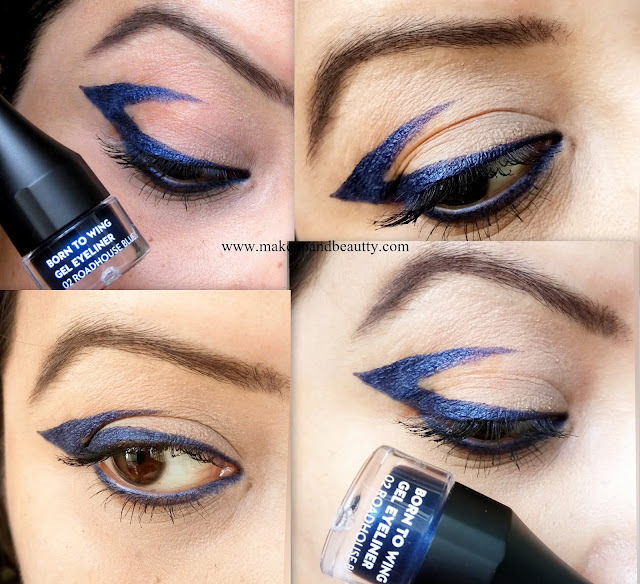 The blue one is perfect for this festive season while if anyone wants to play safe with liners then black will be perfect for them. 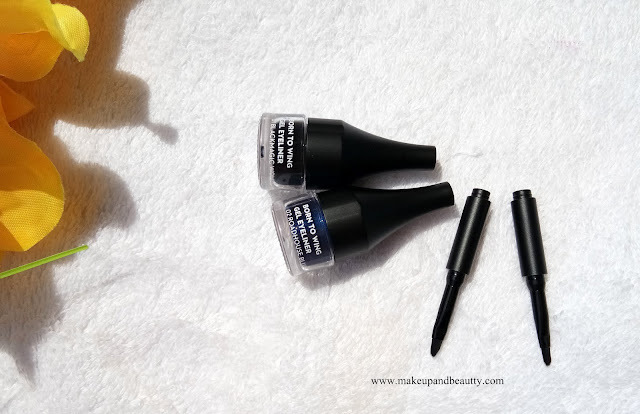 The gel eyeliners are smudge-proof, water-proof. They can only be removed by makeup remover. They stay intact for hours on my lids. 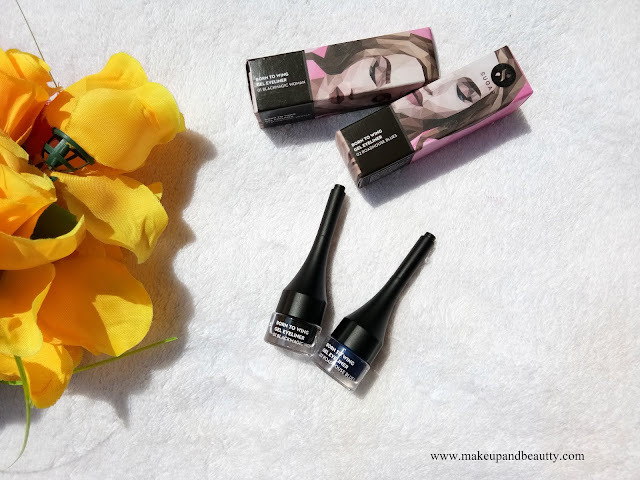 The gel eyeliners are also good for waterline area too. They don't irritate my waterline as other gel eyeliners do. 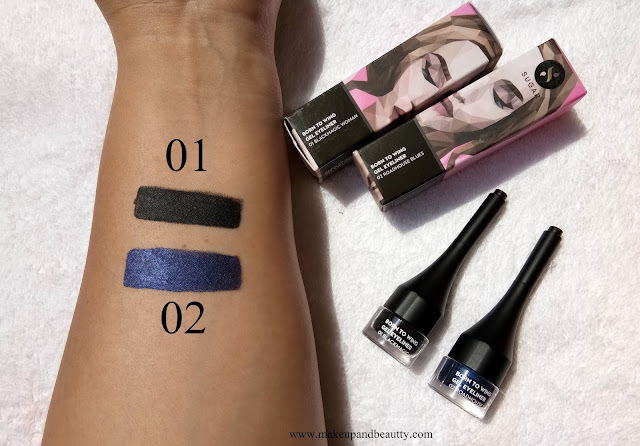 Overall I am really happy with Sugar cosmetics new launch BORN TO WING GEL EYELINERS as they are pocket-friendly and comes up in two versatile shade which will look good across all complexion.